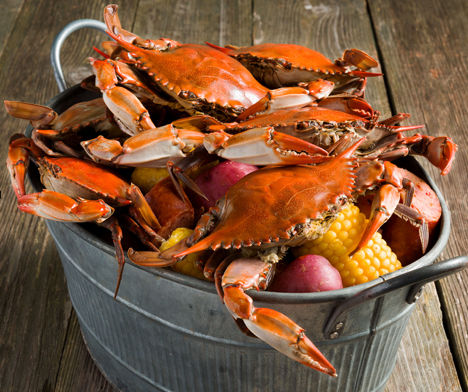 The Fruits of Chesapeake Bay! The Chesapeake Bay is a yacht lover’s paradise. A body of water where fresh and salt water mix, the ‘Bay’ is the largest of more than 100 estuaries in the United States and third largest in the world. 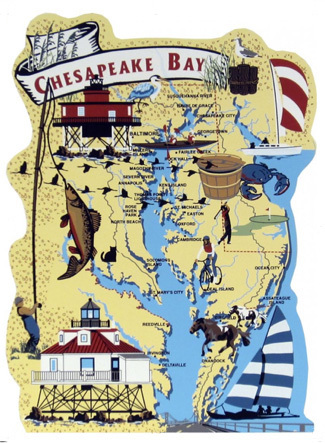 Stretching from Havre de Grace, Maryland, to Virginia Beach, Virginia, the ‘Bay’ is about 200 miles of prime cruising ground filled with small towns and numerous anchorages. 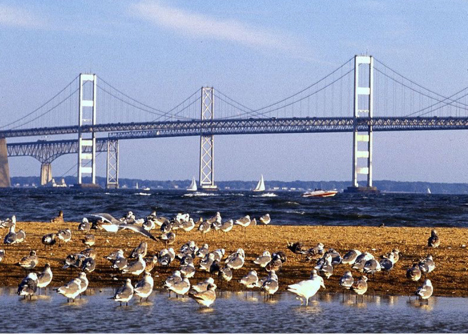 Maryland is world-famous for its natural beauty, vibrant cities and towns, crabs and cuisine. Historic Kent Island is the most significant island in the Chesapeake Bay, beautifully centered between Narrow channels of Kent narrows and the Delmarva Peninsula. Kent Island covers 31 miles and is considered the gateway to Maryland. Enjoy the beauty this charming island has to offer! St. Michaels (left) is a picturesque harbor on Maryland’s Eastern Shore and was named as one of the Top 10 Best Small Coastal Towns in America Its harbor and some homes date back to the mid-1600’s, The area is perfect for outdoor activities including, kayaking, golfing and bicycling. For shoppers, you will find an eclectic range of boutique shops offering specialty foods, jewelry, clothing, home decor and art galleries throughout the town. 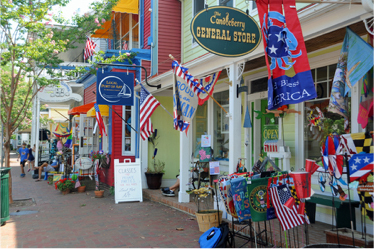 Cambridge is a charming historic town on the Choptank River, for those who enjoy outdoor recreation and exploring small towns. The historic district features brick paved streets with parks, marina, museums, and a lighthouse on the water. The area attracts nature lovers, birders, photographers, cyclists, and paddlers to the Blackwater National Wildlife Refuge. 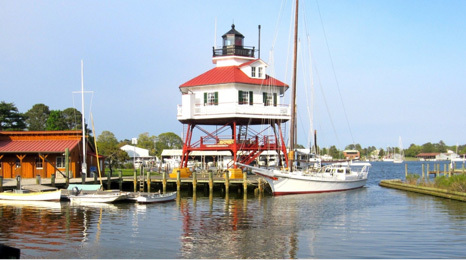 Solomon Island is located between the Patuxent River and the Chesapeake Bay, and draws travelers with its natural beauty and family friendly atmosphere. The Calvert Marine Museum covers everything about southern Maryland. The Drum Point Lighthouse is part of the museum experience. If you have kids, be sure to take them to the Discovery Room. There are dress-up clothes and a place to look for sharks’ teeth. Also, be sure to check out the jaws of the local fossil shark. Solomon Island draws travelers with its natural beauty, family friendly atmosphere and Drum Point Lighthouse. Visiting Annapolis is like stepping back in time to the days when the city was a colonial seaport. 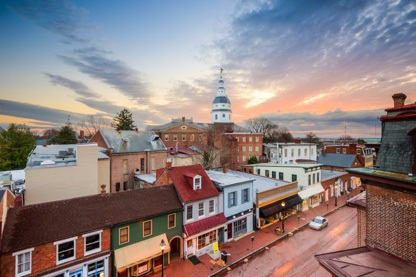 With more surviving 18th century buildings than any other city in the United States, visiting Annapolis is like stepping back in time to the days when the city was a colonial seaport. Known as America’s Sailing Capital, the city is located on the shores of the Chesapeake Bay and is a paradise for water lovers, famous for its crab cakes, lighthouses, and 500 miles of gorgeous shoreline. Tour the campus of the US Naval Academy, or the Maryland State House, the oldest state capitol still in use. There is a buzz about Baltimore that makes people who visit fall in love with its vibe. With the world famous inner harbor; renowned museums and attractions; award winning restaurants; locally loved music scene and hip and historic neighbor hoods, get ready to explore a truly authentic American city. Baltimore is renowned for its inner harbor, museums, attractions, restaurants, beloved music scene and hip and historic neighborhoods. Back to Kent Island located in the nest of the Chesapeake Bay Bridge. The length of the bridge is 4.3 miles, a walk over bridge can give you bliss coming from the Chesapeake Bay in the fine dust or dawn time. As you eat breakfast on your final day, prepare to say so long to new friends and the shores of New England. Don’t forget to get those last minute souvenirs and gifts for friends and loved ones!! This itinerary is flexible and can be customized.